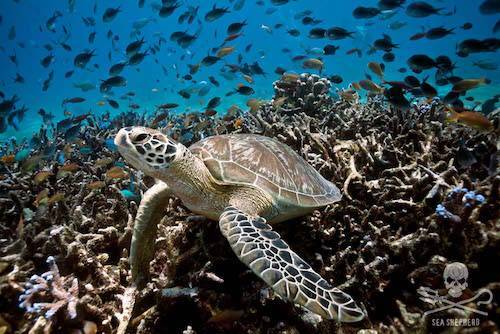 Sea turtles are some of the oldest living creatures, one of the few who’ve watched dinosaurs evolve and become extinct. They are now facing the same fate as their predecessors. Today, on World Oceans Day, Sea Shepherd Conservation Society is proud to announce its latest campaign to defend, conserve and protect our oceans. 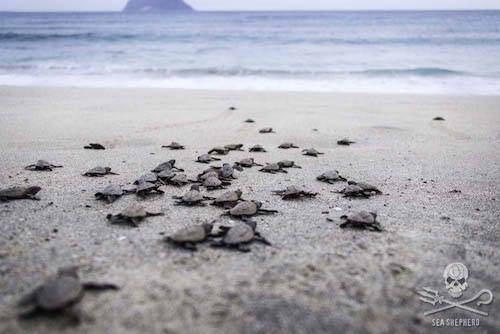 There are seven species of sea turtles in the world. Four have been identified as "endangered" or "critically endangered,” and two are classed as "vulnerable,” by the IUCN Red List of Endangered species. 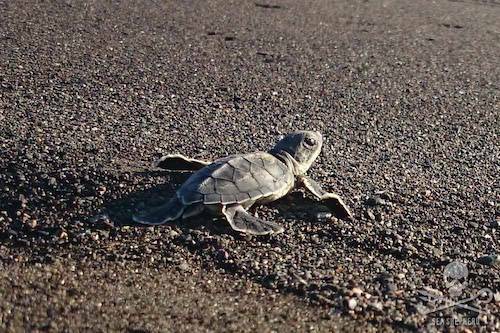 Sea turtles are some of the oldest living creatures, one of the few who’ve watched dinosaurs evolve and become extinct. They are now facing the same fate as their predecessors. Sea Shepherd Conservation Society is requesting donations to fund Operation Jairo II by asking fans to become monthly donors. To donate, visit Sea Shepherd Conservation Society.